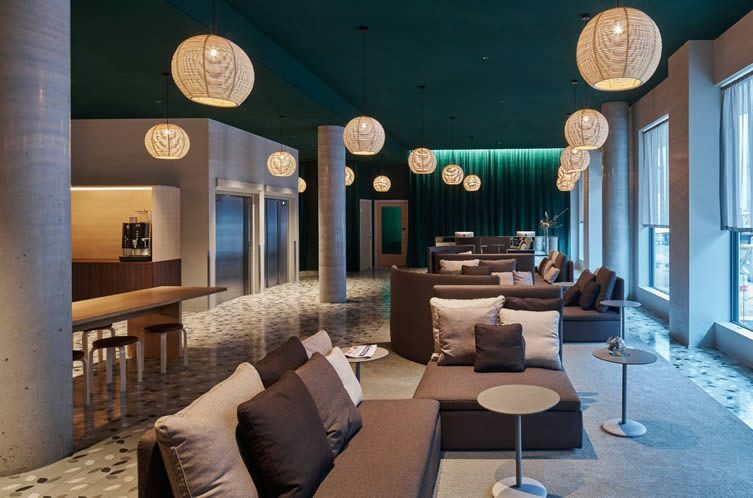 A 1930s parking garage now houses Bergen’s latest design hotel, and what a beauty it is. 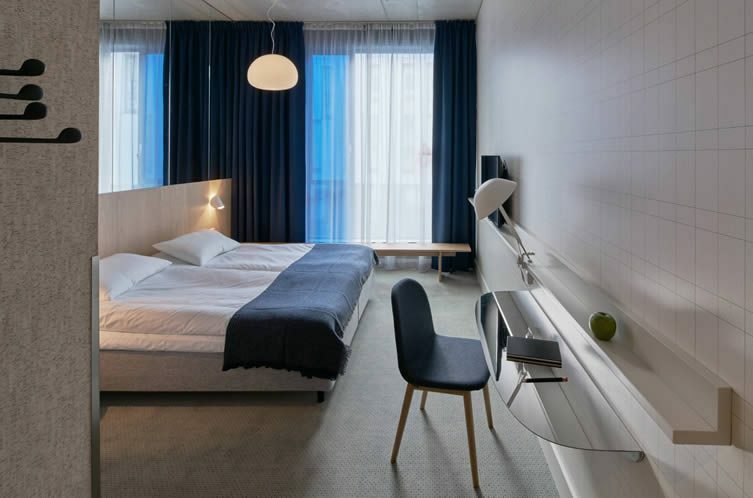 Zander K (part of the De Bergenske family of five Bergen hotels, which includes Villa Terminus) connects to the the Norwegian landscape via a canvas of blues, whites and greys; set alongside locally-sourced wood and stone. 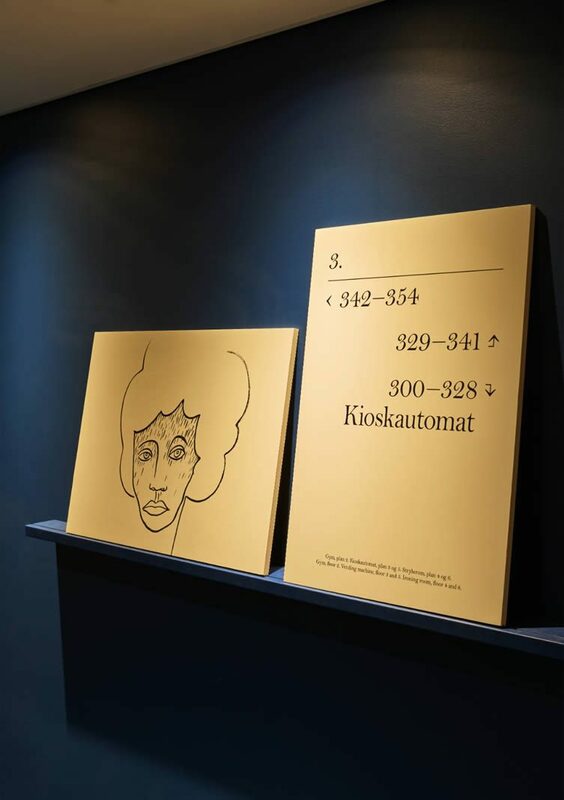 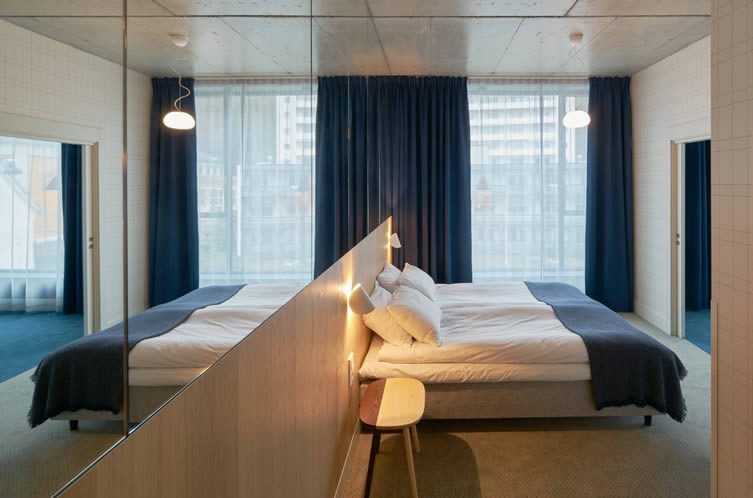 Zander K’s 249 rooms feature interiors by Claesson Koivisto Rune, and design contributions like mirror-finished stainless steel desks, two-tone bedside tables and ‘Summer Rain’ curtains—a playful nod to Bergen’s infamous rainy weather. 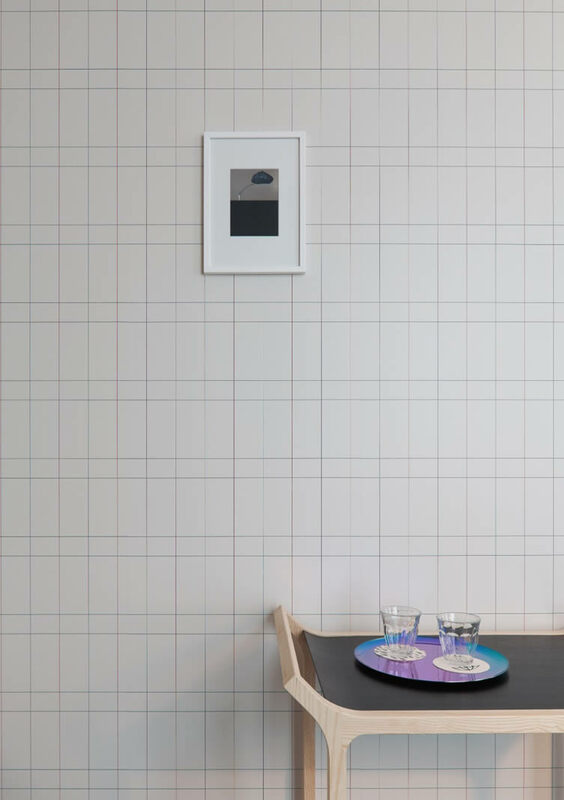 In fact, rain is a dominant aspect at Zander K—from the bespoke artworks by Swedish illustrator Jesper Waldersten, to the patterned curtains and quotes featured on design postcards. 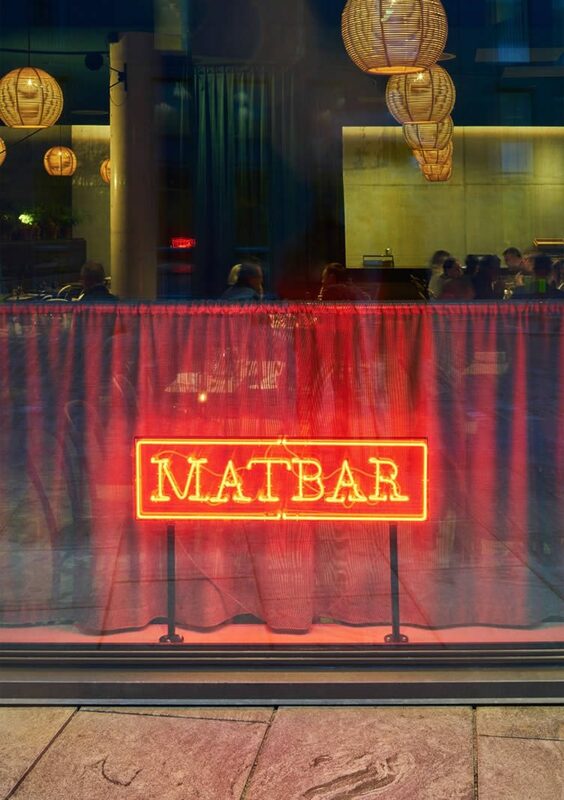 In the hotel’s all-day restaurant, Matbar, the chef couldn’t be happier with the abundance of fresh produce this watery climate produces. 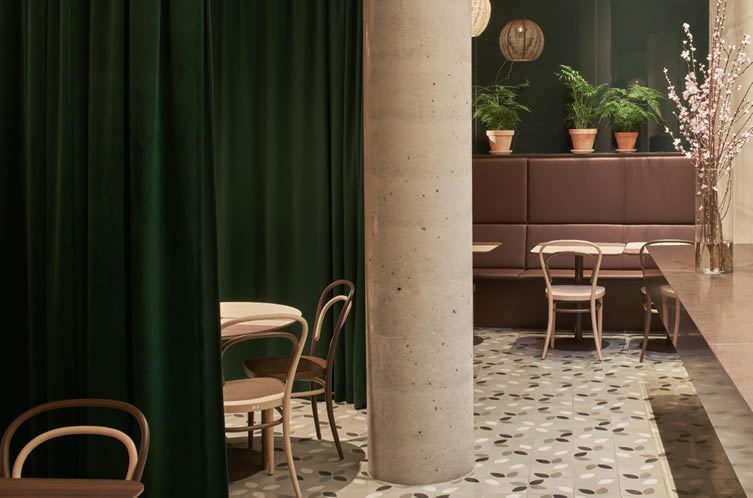 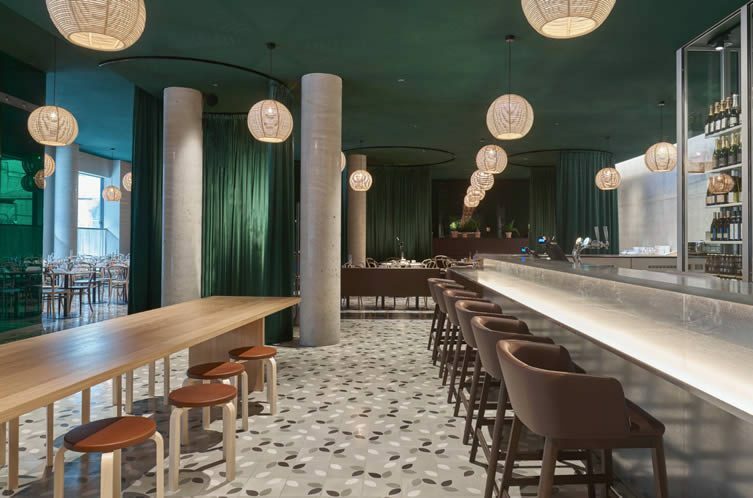 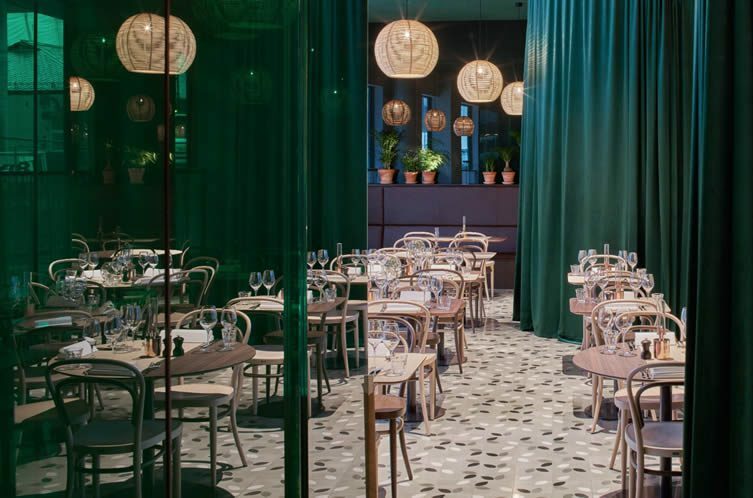 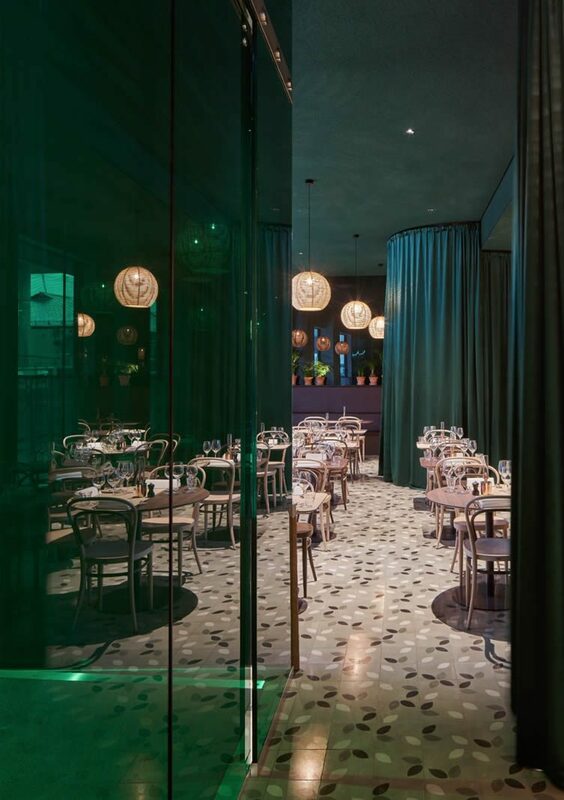 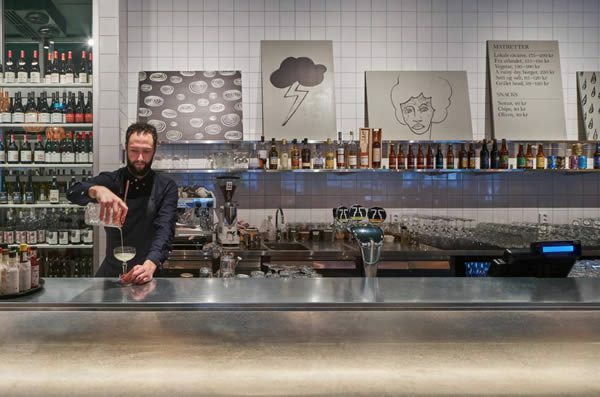 With interiors made from solid wood, exposed concrete, polished marble, velvet textiles and dark reflective glass—Matbar’s menu features locally-sourced mussels, hake, veal and pork, hearty salads and a considered selection of wines, beers and spirits.